The Big Wobble: AUSTRALIA in the grip of the worst flu outbreak ever: More than 70,000 cases reported this year and a record breaking 30,000 cases in July. AUSTRALIA in the grip of the worst flu outbreak ever: More than 70,000 cases reported this year and a record breaking 30,000 cases in July. AUSTRALIA is in the grip of the worst flu outbreak on record and experts are urging people to have a flu vaccine now to prevent further spread of the disease. More than 70,000 cases of flu have been reported so far this year including a record breaking 30,000 cases last month. "I'm confident this is not just the biggest on record but the largest flu outbreak we've seen for some time," Professor Paul VanBuynder the Chairman of the Immunisation Coalition said. Flu notifications in South Australia are at a six-year high, with a total of 6203 cases so far this year compared to just 1347 cases at the same time last year. In all of 2016, there were a total of 7851 flu notifications in SA. In 2015, the state recorded its highest number of flu cases on record, with a total of 15,659 notifications. 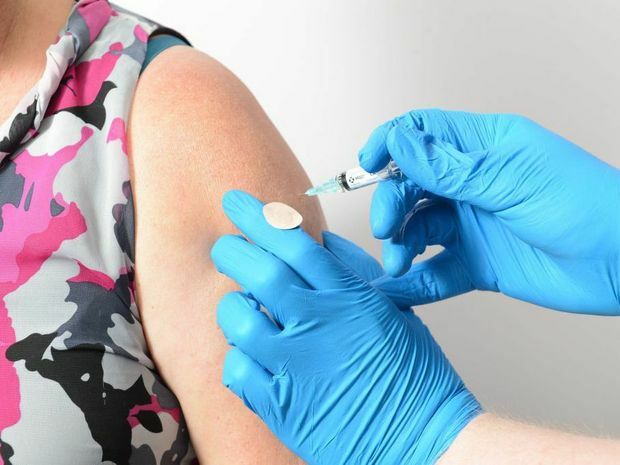 Flu vaccinations are available from pharmacies and can cost adults as little as $10, children have to be vaccinated by a GP where the cost should be $25 or lower, Professer VanBuynder said. It takes ten days for the flu vaccine to work properly so doctors are urging people to act now. Professor Bill Rawlinson a Senior Medical Virologist at NSW Health Pathology and Prof Lou Irving is Director of Respiratory Medicine at Melbourne Health said they had seen a spike in hospitalisations related to complications caused by the flu. Professor Rawlinson says flu can cause pneumonia and death. Director of Respiratory Medicine at Melbourne Health Professor Lou Irving says it can have a severe impact on people with chronic illnesses such as asthma, chronic obstructive Pulmonary disease, diabetes and heart disease. He said he had recently treated a 38-year-old new mother who needed hospitalisation for 3 days after contacting pneumonia as a result of the flu. A 27-year-old man required surgery to drain his pulmonary cavity of pus and fluid after he developed severe pneumonia after the flu, Professor Lou Irving. One in four elderly people, two in three pregnant women and nine in ten children are not vaccinated to protect against the flu. Professor VanBuynder says experts have been asking the expert committee that advises the government on which vaccines to fund the make the flu vaccine free for everybody on the national immunisation register for over a decade. Evidence shows the effectiveness of the flu vaccine begins to wane after six months. While there is no formal recommendations to give chronically ill and elderly people a booster vaccine some GPs vaccinate chronically ill patients twice a year.